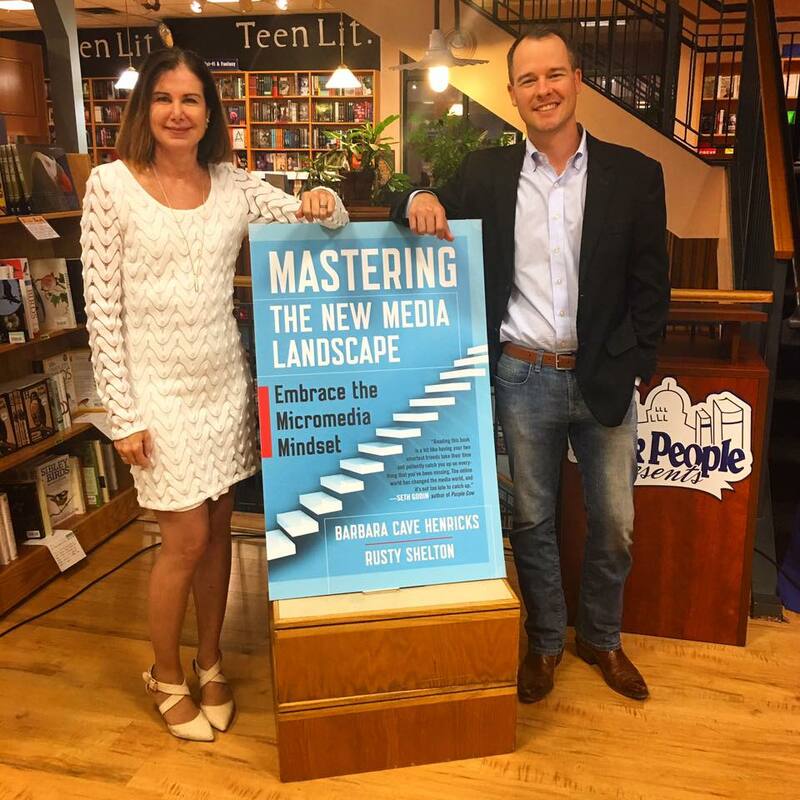 Digital media strategists Rusty Shelton and Barbara Cave Henricks, authors of Mastering the New Media Landscape, claim that we've entered a new age of micromedia where "every individual and brand is a media outlet, whether they know it or not." What does that mean for authors, thought leaders, entrepreneurs, business leaders and others who are still trying to get a handle on this dynamic environment? It's mostly good news, since you have more ways than ever to connect with readers, customers and influencers. Yet, it also means you need to be more strategic than ever about where you spend your time and resources. In this interview, Shelton and Henricks provide guidance, strategies and case studies to help you navigate the micromedia environment -- whether you are selling a book, creating a brand, looking for new ways to attract and engage customers for your business or seeking to change people's views and lives. Lisa: Can you define a few terms for us to begin with, like "platform" and "micromedia"? Rusty: In many ways, this term describes the spectrum of new media outlets that have surfaced in the digital age -- from blogs to webinars, podcasts to Periscope feeds -- these are new sources of content that exist in the vastly democratized space of the Internet. A platform is the number of people you can reach anytime you want to across three forms of media -- owned, earned and rented. We put a heavy emphasis on owned media, which is any asset -- from your blog to a website to a mailing list -- where you have full autonomy over the content and the connection to your audience. Your platform can also be defined as your personal brand -- all the information that surfaces about you in a Google search -- from online reviews to a company bio to your LinkedIn account to the last update you posted on Instagram. Rusty: Exactly. Today, nearly all first interactions happen online. So, in many ways, your brand is what Google says it is because that search snapshot is your first impression. We're urging everyone to shape and own as much of that impression as possible. Lisa: That's good advice. I see lots of doctors, for instance, whose search results for their name start with pages of Healthgrades and other websites. I'm sure that's not ideal for branding purposes. 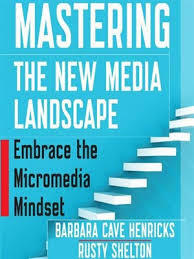 What inspired you to write Mastering the New Media Landscape? Barbara: The dramatic shift in the way media is created and consumed cried out for new definitions and new strategies. We wanted to move the discussion away from the framework that most people use today, which is traditional versus social media, and take a broader, more holistic view -- examining earned, owned and rented media and considering how each category drives the others. We think of this as looking at the new media landscape as a 3-dimensional space, rather than that 2-dimensional one, which allows anyone with a message to share to be more effective when creating a strategy. It's a different media world, and it calls for a different set of tools and methods to use it effectively and create value. Lisa: So, a new paradigm to match the new landscape. Let's talk about the book for a moment. You both work with authors, thought leaders, business leaders...but it seems the book is broader than that. Who is the book for? Rusty: Anyone who wants to attract and grow an audience -- from authors and small business owners, to thought leaders and emerging brands. The new strategy involves thinking more like a journalist or media executive than like a marketer. It instructs readers how to use all the existing tools to captivate an audience that will remain interested over the long term, rather than just for a single interaction or purchase. Lisa: Yes, I think we're seeing that those who provide value and engage people are thriving in this environment. What are some of the challenges that authors, in particular, face when it comes to reaching readers and making an impact with their books? Barbara: The chief challenge for authors lies in finding ways to engage an audience -- particularly in a way that builds an audience and keeps them coming back. One way to do this is via a quiz or assessment that ties to the book. 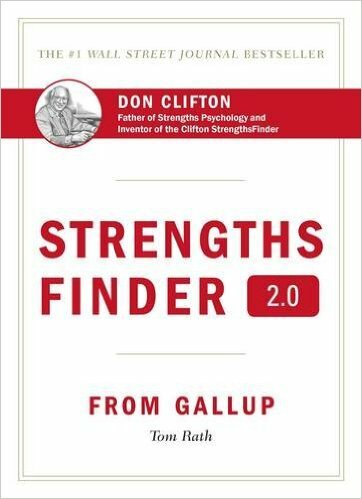 This strategy proved very successful for books like StrengthsFinder 2.0 and The Confidence Code. Another way to build and maintain an audience lies in providing a place to share stories or lists as Ann Voskamp did with her book, One Thousand Gifts. We believe writers need to think carefully about the way in which they want to engage with their readers and then work backward to design that kind of engagement. Lisa: What are the biggest mistakes you see writers making when it comes to social media? Rusty: Overextending. People are eager to use the new social media platforms available and often dive in too quickly, setting up accounts without taking stock of whether or not that outlet is appropriate for their audience or whether they can commit to contributing there over the long-term. Lisa: What do you recommend instead? Rusty: Identifying 1-3 channels where your audience's attention and your personal interests overlap and providing content there that is clear, credible, compelling and consistent. Consistency is key given that the Internet is littered with dormant accounts. Figure out which social media tools are most appealing to your target audience and adopt the ones that you can truly commit to. Lisa: That advice may be a relief to readers who feel overwhelmed by the options! I invite readers to join us tomorrow for Part 2 of The New Way to Get Noticed, where Rusty and Barbara will provide tips to help authors make the most of their online platform, as well as exciting case studies. Meantime, readers, please share any strategies you use to engage your community and expand it. And visit the book's website for a variety of resources to help you in Mastering the New Media Landscape. Barbara Cave Henricks is the CEO and founder of Cave Henricks Communications. Rusty Shelton is the founder of Shelton Interactive, a digital marketing and PR agency based in Austin, TX, and the President of business growth company Advantage Marketing.